Nike's marketing pitch: Ultralight cushioning for effortless speed. 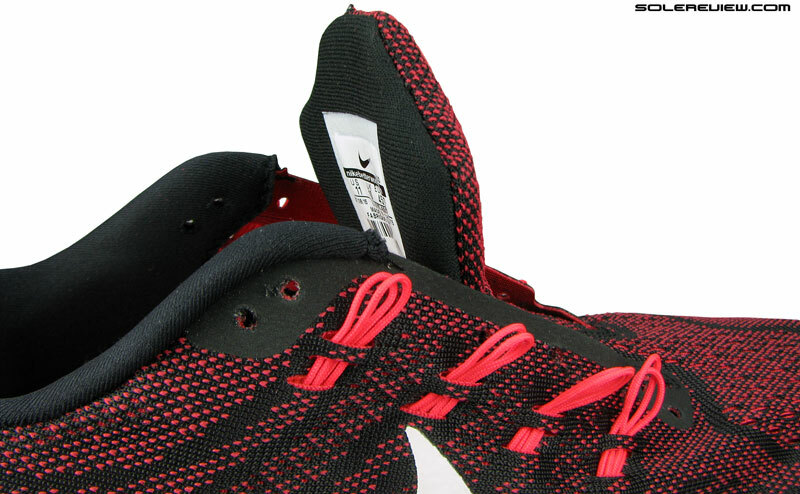 Upper: Engineered mesh, Flywire cord based lacing. Inner sleeve. 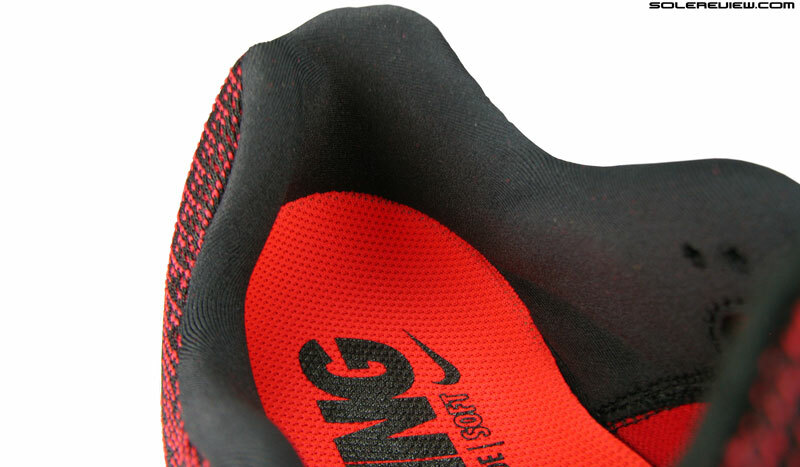 Midsole: Lunarlon foam seated within a firmer, injection molded EVA foam midsole. 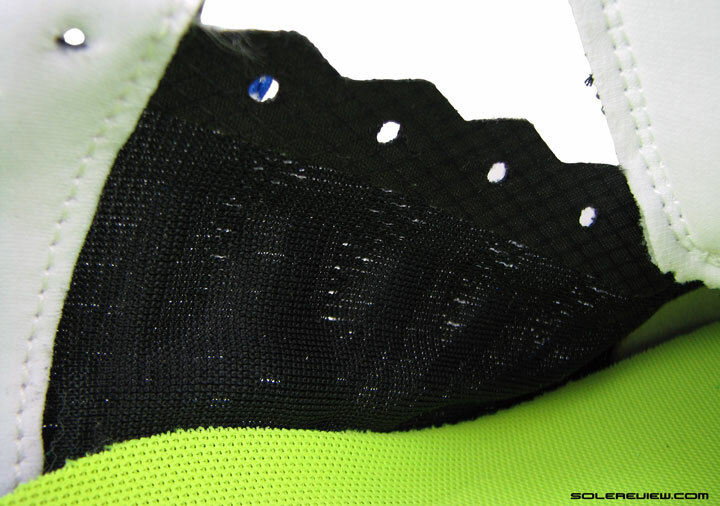 Outsole: Carbon rubber under heel and forefoot, exposed EVA foam. 8 mm heel offset. 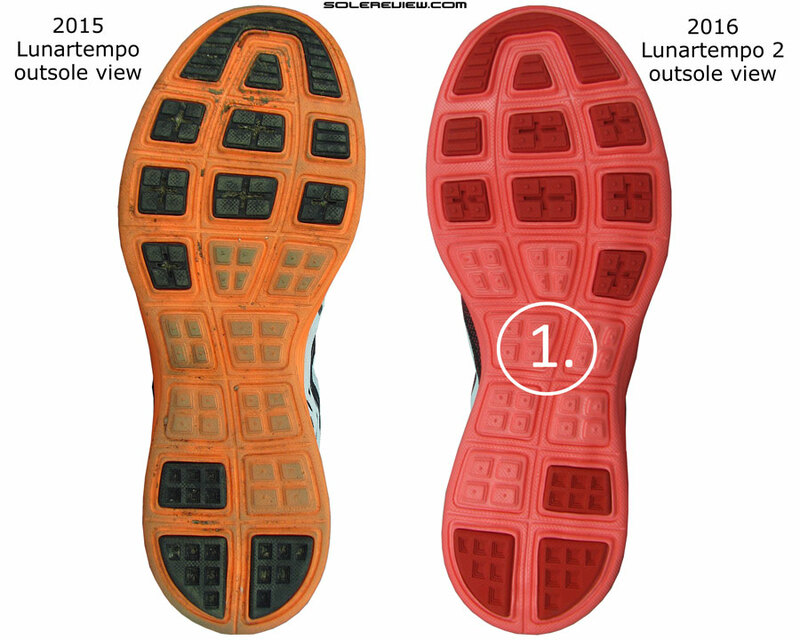 The 2016 Lunartempo 2 gets an inner sleeve, a smoother toe-box, a firmer insole and is $10 cheaper than the LT1. Slightly heavier too. The rest of the shoe hasn't changed much. 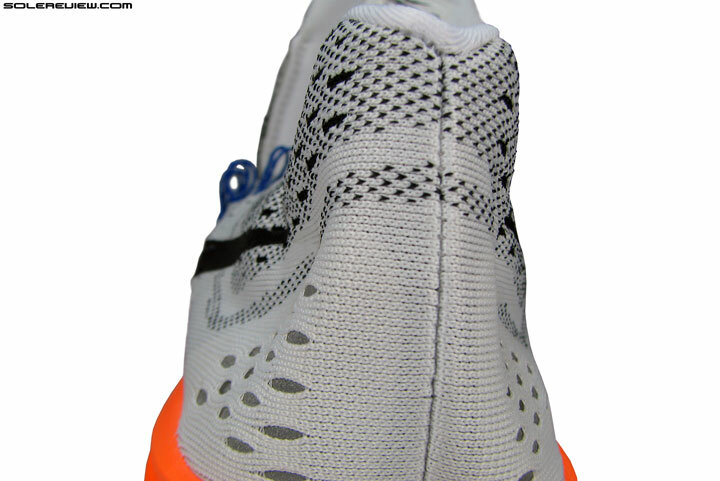 1) The toe-box gets smoother underneath 2) Tongue is now secured by an inner sleeve 3) Firmer insole compared to the LT1. Huh. This has to be just a coincidence. That most areas of changes on the 2016 Lunartempo 2 mirrors the ones seen on the just reviewed New Balance 1500 V2. Namely an updated toe-box and forefoot, the addition of an inner sleeve and some tinkering with the removable insole. Of course, with the exception of the midfoot sleeve, other updates have a different performance impact different than the 1500 V2, but it was interesting to notice the update similarity. Especially when these two models are in the same lightweight category. The 2015 Lunartempo was a spin-off of the popular Lunaracer, which has been around for a few years now. We wrote at length about the difference between these two models in our Lunartempo review, so if you want to read more, head there. What we had basically said then was that the Lunartempo was a more comfort version of the Racer 3, which happens to be more race focused. The original Lunartempo was already a close cousin of the Lunaracer 3. This year’s model, a little more so. And yet here’s the thing. Some of the changes on the Lunartempo 2 brings it closer to the Lunaracer 3’s character. While these changes exist with the goal of simply improving the Lunartempo, it inadvertently blurs the line between the two. That applies to the next Lunaracer version as well, considering that the Lunaracer 4 isn’t a radically new model. The LR4 still has the same midsole unit, with a re-sketched upper which should result in an overall fit and feel similar to that of the LR3. Nike’s midsole tech might be showing its age, but Lunarlon equipped Nike’s are ubiquitous – till something new comes along. The Lunaracer and Lunartempo are sub 8 oz (largest available size) shoes which pack in enough cushioning for marathon distances. This isn’t very common, given that weight and cushioning usually tends to be mutually exclusive. Another example of such a shoe would be the Hoka Clifton, which is amazingly cushioned for what it weighs. The only complaint of Lunarlon based shoes is their long term durability or more specifically the lack of. 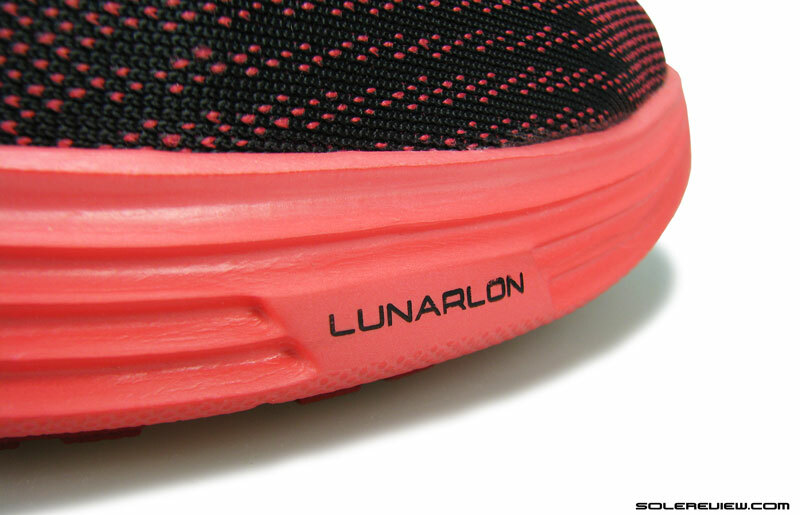 We’ve got a lot of feedback that Lunarlon’s cushioning breaks down after a few hundred miles. Since our reviews here of a short term ownership nature, we haven’t had the chance to see a complete foam breakdown of Lunarlon. We’ve seen creasing on the Nike Lunarlaunch though, which happens to be the (perhaps) only Nike running shoe with a midsole made of pure Lunarlon foam. 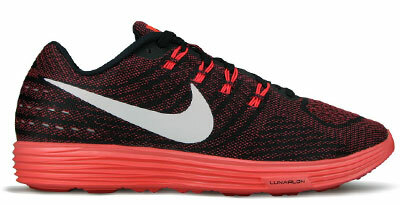 But other Lunarlon based shoes have always been a mix of conventional EVA on the outside with a softer Lunarlon core. So it is hard to see the extent of wear and tear in real time. See that glimpse of the white foam underneath? 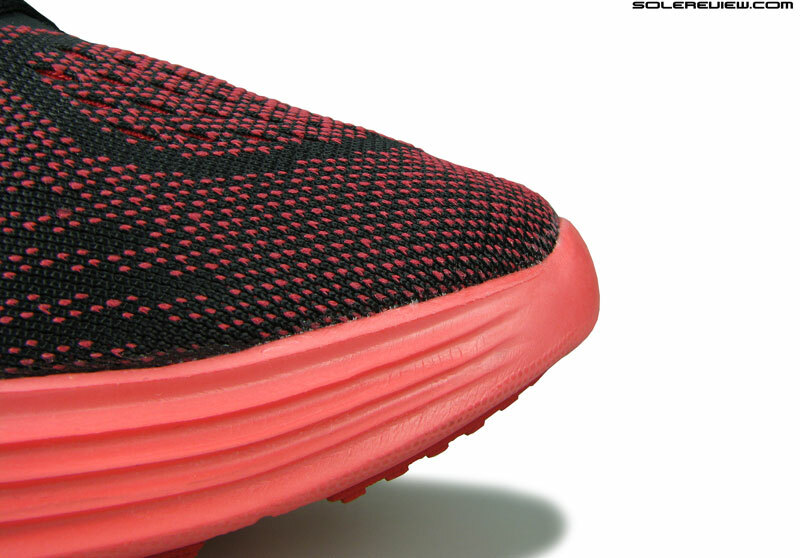 That’s the softer Lunarlon packed inside the firmer midsole. For both the Lunaracer 3 and the Lunartempo, the Lunarlon insert resides inside the firmer EVA cupping. 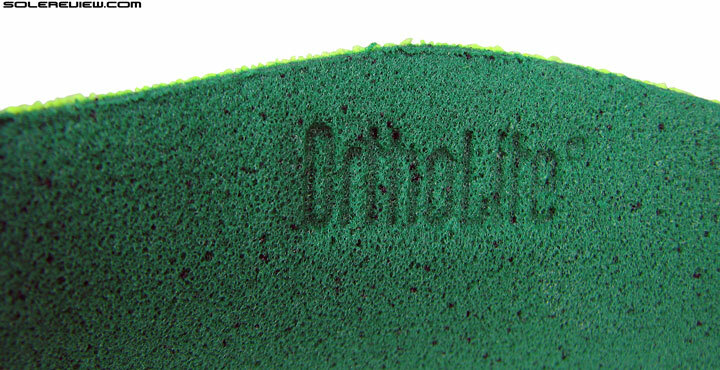 If you make a slit on the sidewall or under the foam lasting, you’ll notice the presence of the Lunarlon soft center. Lunarlon by its own self isn’t very supportive, so the relatively rigid surroundings helps compensate for that. 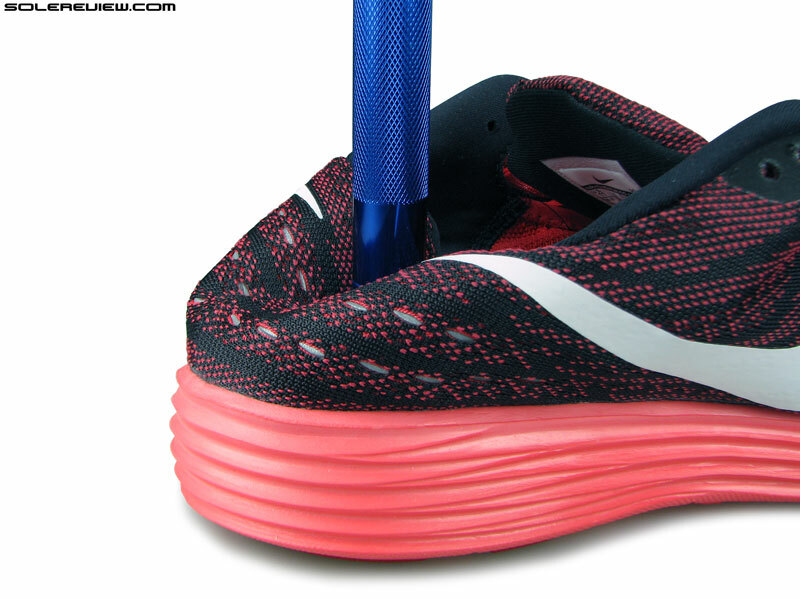 In our comparison between the two siblings, we noted that the Lunaracer 3 felt more cushioned in the heel while the Lunartempo was more forefoot biased. That is still true for the LT2, except the soft top feeling of the Lunartempo 1 isn’t there anymore. Of course, most changes are typical cause and effect situations, and that logic applies to the LT2 as well. The one on the top – with the smoother texture – is the firmer, LT2 insole. 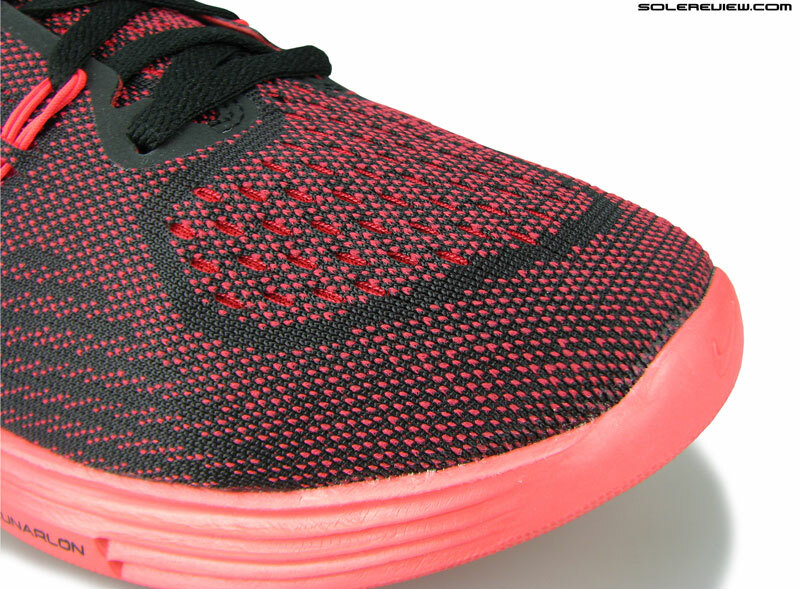 The porous foam insole type is that of the 2015 Lunartempo. 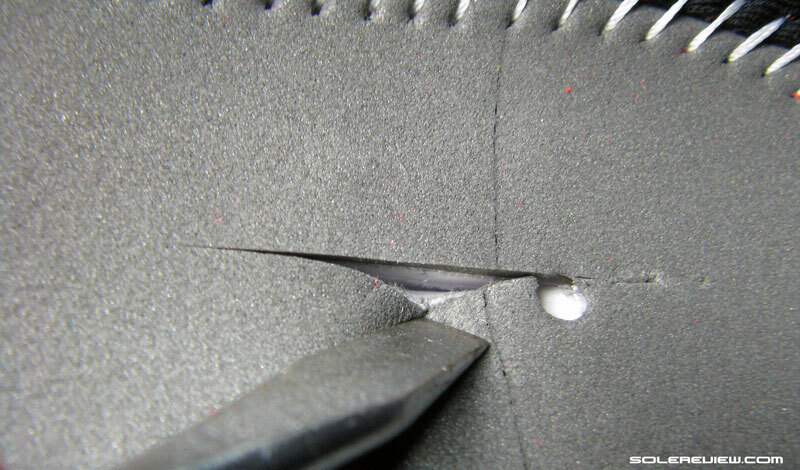 The LT1 had a blown foam insole which had greater squish than the compression molded version of the LR3. For the 2016 version of the LT, Nike has decided to do away with some of the added sponginess. 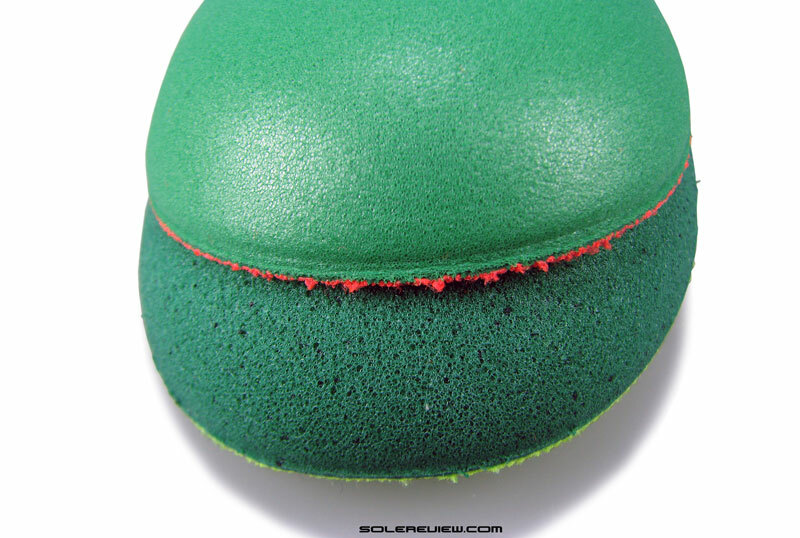 Instead of the open cell foam used previously, the LT2 now comes with a sockliner which is similar to the Lunaracer3. Here’re a couple of comparative pictures. 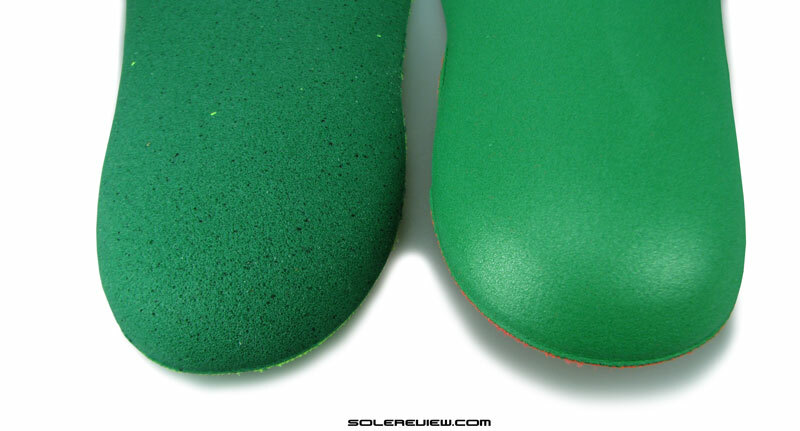 Here’s looking at both the insoles side by side. The one on the right is the 2016 version. 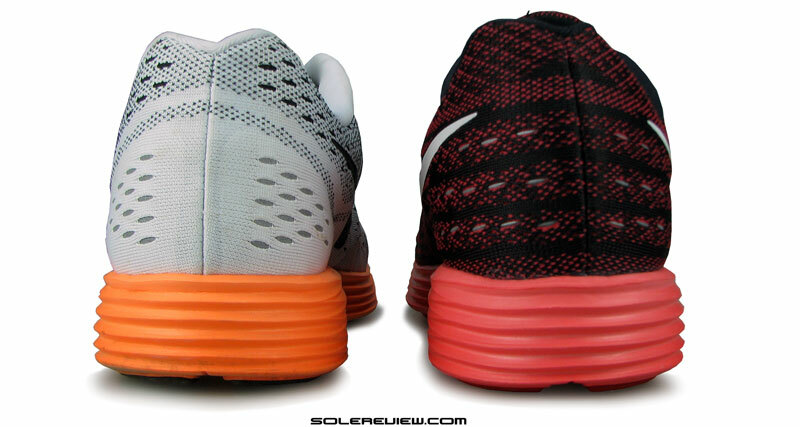 On the left is the older insole model with its open foam construction. On the right is the compressed foam version, which is the current fitment inside the LT2. And this is one of the reasons why we mentioned the LT2’s closer resemblance to the LR3. 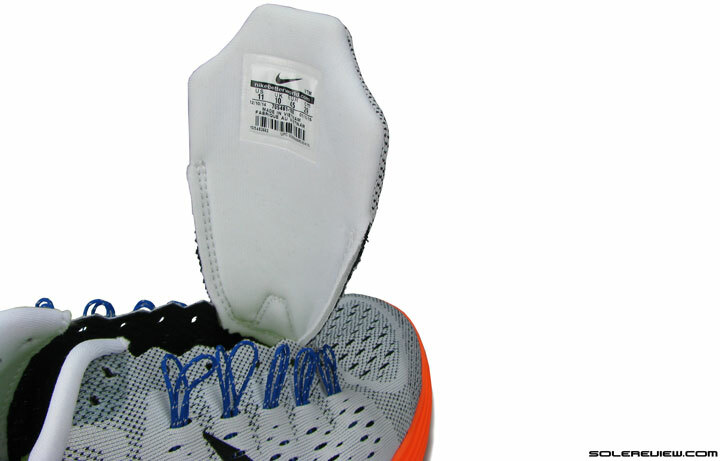 In the process, the LT2 loses the Ortholite branded insole in favor of a generic one. 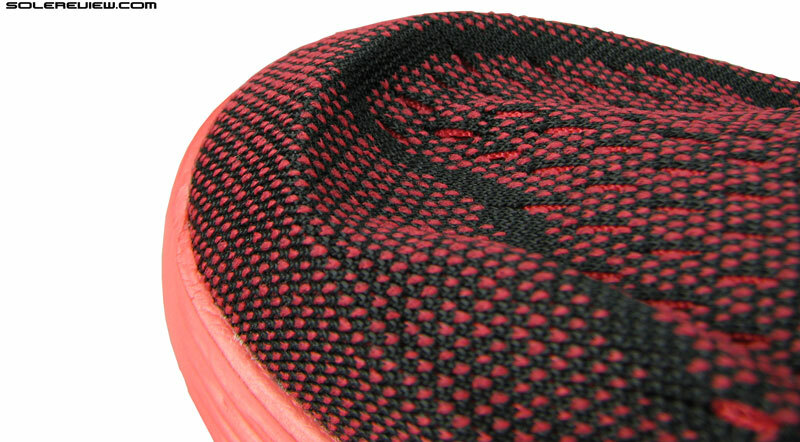 By using the firmer insole, the Lunartempo’s ride loses the top focused softness quality. The ride is still adequately cushioned, but the insole feel is more in sync with the midsole below. 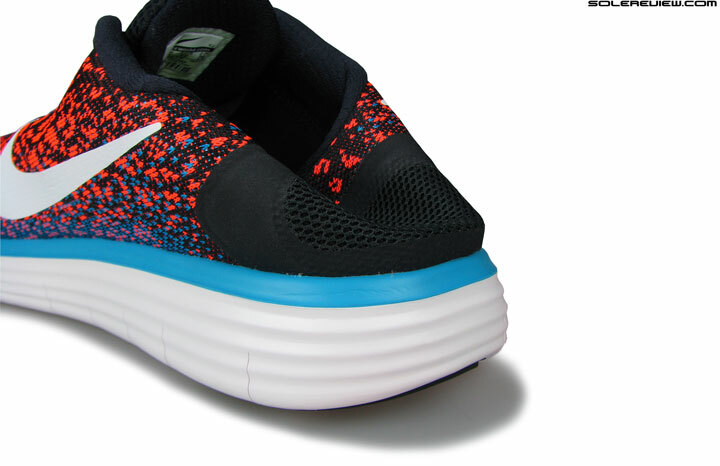 One of the reasons why the Lunaracer has been around for a long time is that it happens to be one of the few super lightweight shoes with relative gobs of cushioning. Balancing weight and cushioning has always been tricky, and Nike’s use of a softer Lunarlon core has allowed the Racer and Tempo to achieve this effect. This cushioning quality makes the Lunartempo and Racer good lightweight candidates to comfortably cruise through longer distances – a full marathon is perfectly doable. 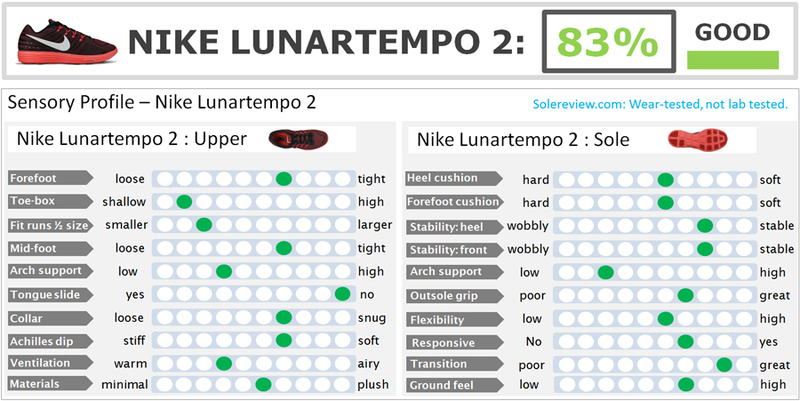 With the insole update, there isn’t much of a cushioning difference between the Lunartempo 2 and Lunaracer. Differentiation happens through the upper fit (not sure of the Lunaracer 4, however), and lower weight of the LR3 compared to the Lunartempo. Nope. No change at all to see here. 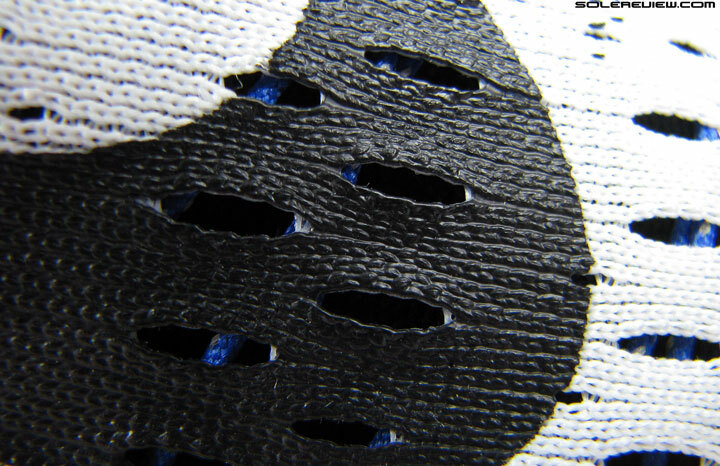 There’s is a economy of rubber use on the outsole. Small rubber lugs are mounted on the foam pods only over the forefoot and heel area. This helps keep the weight down, and at the same time provides the midsole more leeway to deliver cushioning due to a piston effect. The independent rubber lugs allow the foam underneath to compress upon weight loading. Like we said, the LT2’s changed insole makes it a firmer riding shoe than the LT1. The overall midsole cushioning levels stay the same as 2015, just that the insole foam just under your foot does not feel as soft as it did before. The ride is top firmer compared to before. Thank you (or not), new insole. The rest of the midsole retains its ride properties, which includes a supportive nature and quick, smooth transitions. There isn’t a design bias on either side of the midsole, so the foot stays centered and supportive. 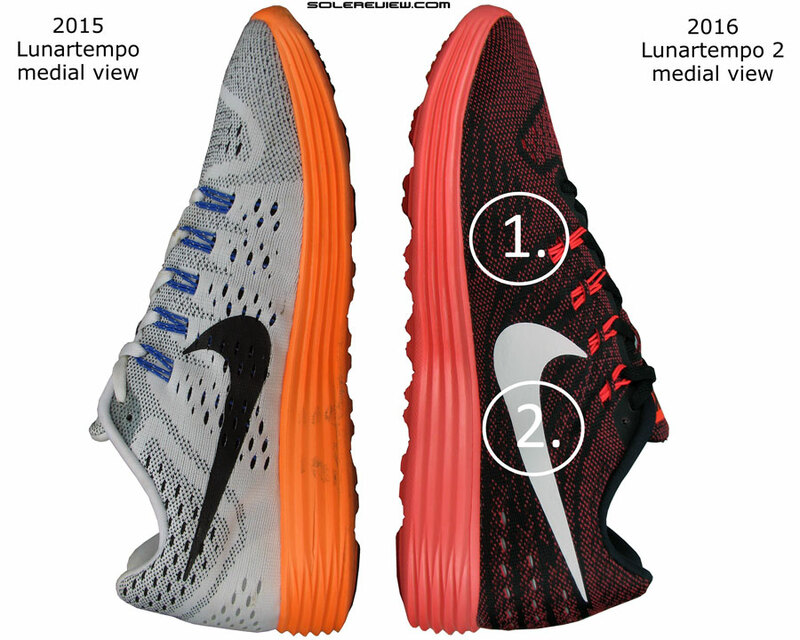 This might be the right time to mention that the 2016 Lunartempo 2 gains some flab over the previous model. On the weighing scale, the digits glow at a number which is nearly 20 gms/0.7 Oz or 10% higher than the LT1 (US 11). That is because of extra materials used in the making of the new upper, which is detailed as follows. Most functional updates are usually unseen ones, and LT2 is no exception. Ok, the insole might have changed and all that, but the main update for the LT2 is its inner sleeve. The 2015 Lunartempo did not have a sleeve; instead, the inner upper relied on a separate midfoot lining while keeping the forefoot unlined. 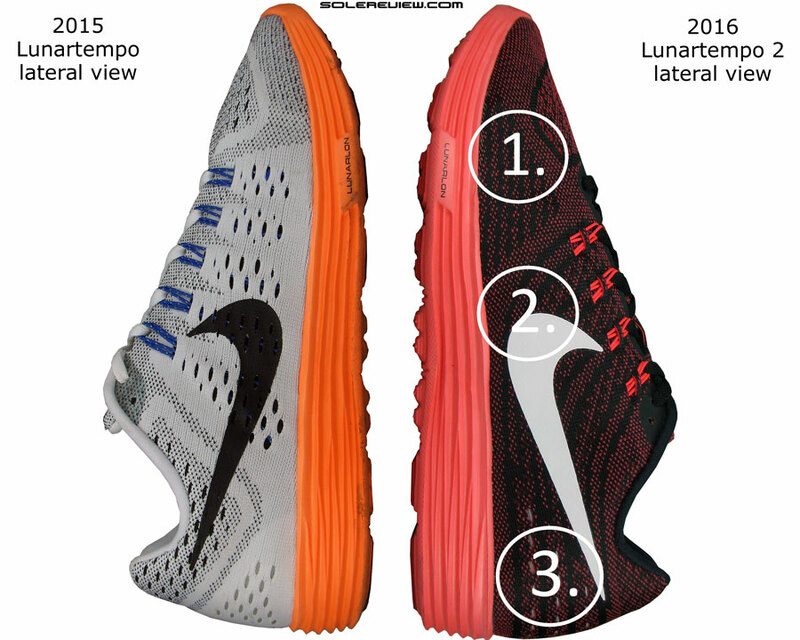 The 2016 Lunartempo 2 gets a full sleeve, putting distance between the outer upper and the foot. Like most Nike models of this kind, the Tempo uses a true sleeve. 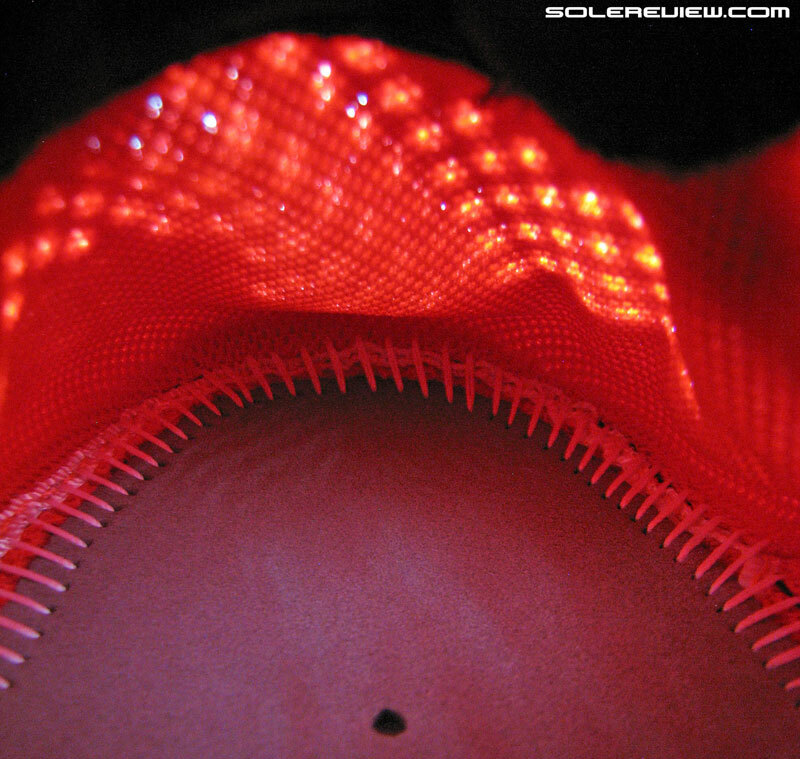 Meaning that the extra layer forms a glove or pocket of sorts right from the midfoot to the toe-tip. This construction has its pros and cons. Pros would be a very consistent, smooth fit because of the lack of seams. That, and the elimination of tongue slide. On the slightly negative side – though that is purely subjective – is a slightly snugger/shorter fit and some reduction in ventilation. Funny that Nike specifically uses the word ‘breathable’ inner sleeve as if to pre-empt this potential concern. The sleeve does better the LT2. The fit is markedly improved, as the added sleeve puts distance between the outer upper and the foot. The end result is a smoother interior environment. Logically, the fit should have turned tighter around the forefoot, but it doesn’t. Here’s why. 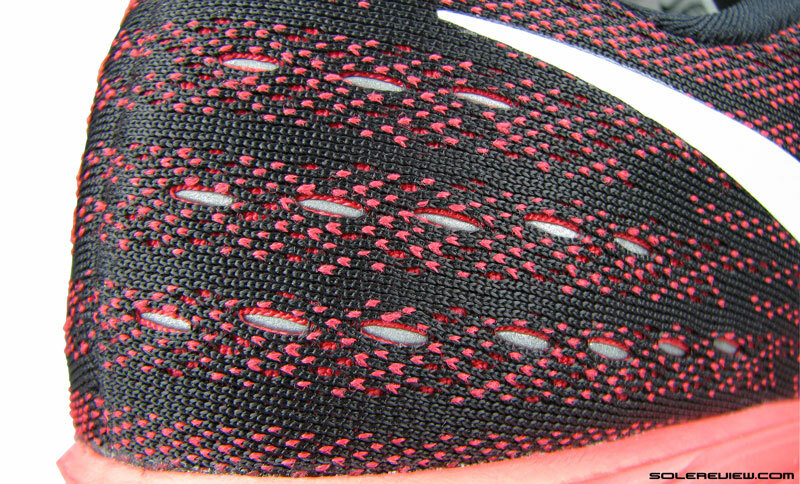 1) Closer knit mesh structure 2) Swoosh is reflective; the Flywire cords are not. 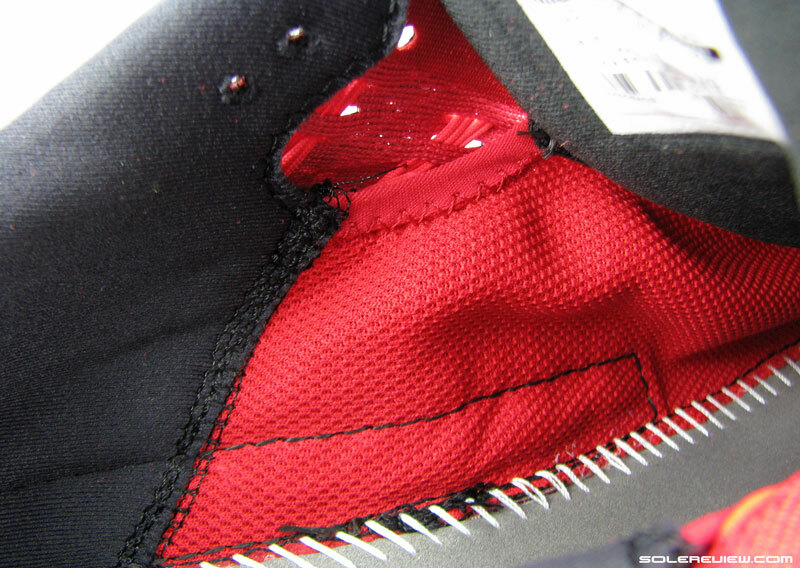 The red lining might look like an extra layer, but it actually isn’t. Even last year’s LT had a lining pasted under the midfoot. 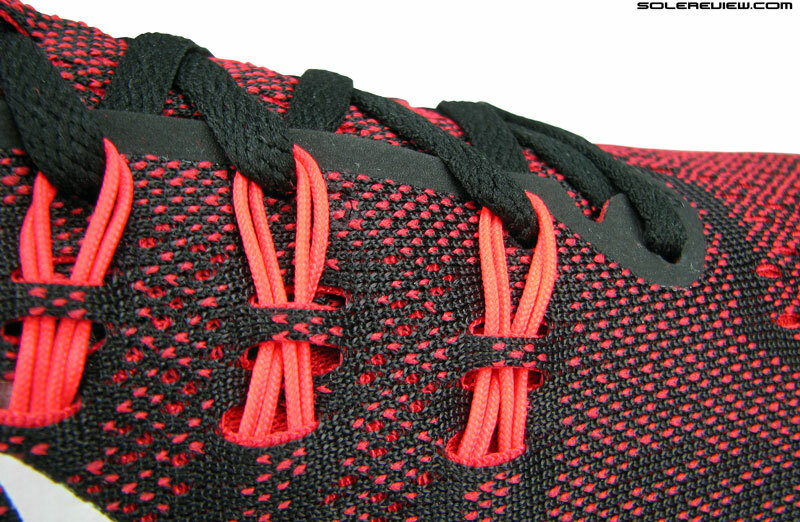 The lining/sleeve insulates the foot against the lacing cords. The Lunartempo 1’s midfoot was already lined, so technically speaking the LT2’s newly introduced sleeve isn’t an extra – it simply replaces the earlier lining in a different form. 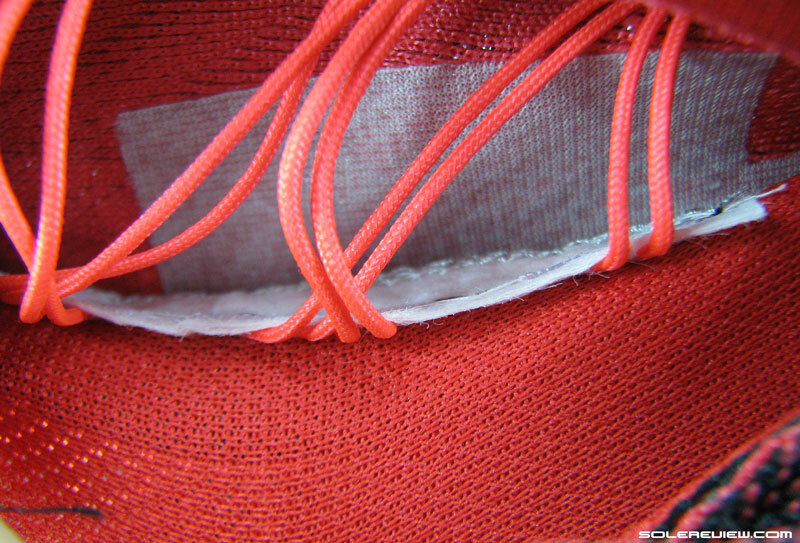 In the forefoot, you’ll notice that a column of Flywire cord lacing is missing on the LT2. So – the added sleeve and the absence of the Flywire cancel each other out, resulting in a zero sum game as far as the upper fit is concerned. Makes sense? There is a significant difference in the way the LT2’s toe-box is built, versus the LT1. The reason happens to be the sleeve extending till the tip of the shoe. 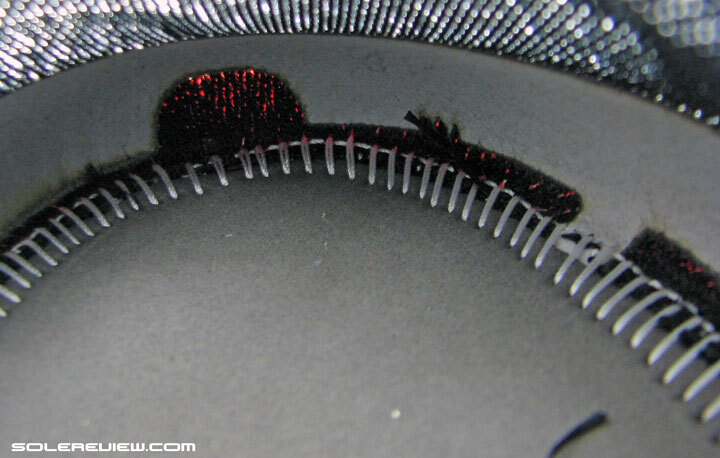 Though the lining sits flush, it does reduce the space by a couple of millimeters. Talk about the heel to toe sizing, and there’s a minor difference. The LT2’s sleeve extends right up to the front, so that’s an extra layer between your toe and the upper tip. While this shortens the toe-box fit – does it warrant a half size up? We didn’t feel so, and that could be because of how the heel counter is designed. …and both Lunartempo versions look the same too. …except that the heel is now completely collapsible. Why? The internal stiffener has been removed. Last year’s LT had a small, vertical semi-rigid heel counter. On the LT2, the heel counter is completely gone, making that part easier to collapse than the LT1. When we say ‘collapsible’, we aren’t talking Nike Free levels of flexibility, but rather in relative terms. 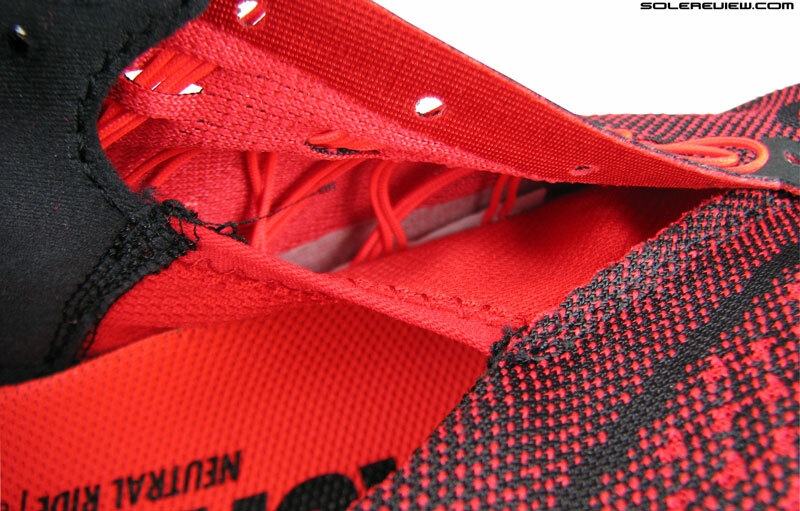 Considering that the inner sleeve adds an additional layer inside the toe-box, could it be that the lack of a heel counter nets off the lining impact? You know, the more flexible heel allowing the foot to sit rearwards? The LT1, LT2, and the Lunaracer all have a shallow toe area. The Lunartempo 2 has an inner toe-bumper too, but it doesn’t catch over the toe like the LT1 did. Why? Read below. There is another bright side to the inner sleeve besides the fit. If you remember, we found the toe stiffener of the LT1 to be a mild irritant, as the offending component was in direct contact with the foot. The inner sleeve creates a seamless barrier between the foot and the bumper stiffener, effectively getting rid of the ‘catching the toe’ feel. Cord based loops, as it was on the 2015 LT1. Engineered mesh (Flymesh) upper, very similar to what’s going around on many Nike shoes nowadays. 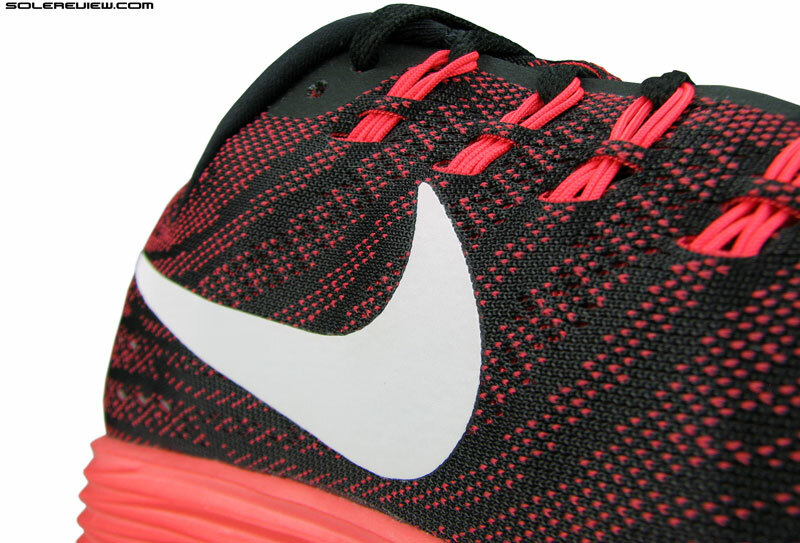 The reflective slits on the heel are carried over from the 2015 Lunartempo. Both the logo and the heel area are reflective. 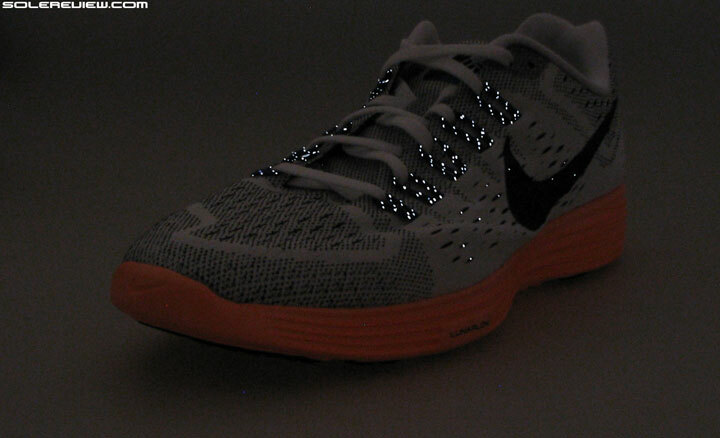 The Nike logo fills in for the reflective Flywire cords of the previous generation Lunartempo. The rest of the shoe upper is the same old, a two piece exterior (main upper and tongue) delivered in Nike’s Flymesh construction. One might notice that the reflective Flywire cords are gone, but that has been replaced by a pair of very bright swoosh logos. And the reflective lining over the heel stays, so all good there. The LT1’s logo was painted over, while the LT2 comes with a separate component over the mesh. The new swoosh logo adds some structure (and marginal weight) to the upper as well. The LT1 had its non reflective logos painted on while keeping the mesh vented. Not sure if there’s any functional value here, but the stiffer logos makes the shoe less droopy in its unworn state. 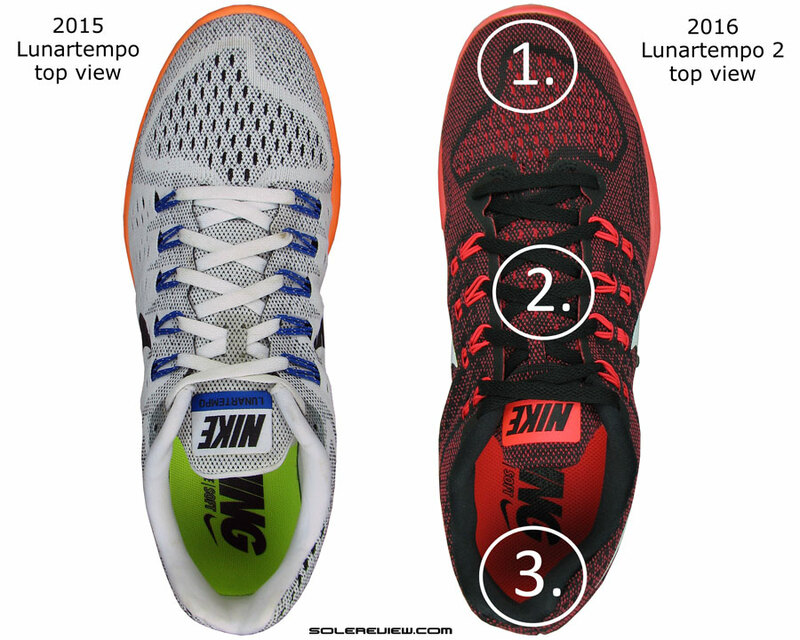 The Lunartempo 2 has a lot in common with its predecessor. It comes with a $10 knock off its MSRP. Does the LT2’s incremental updates make it a better shoe than the LT1? Except for the weight increase, yes. 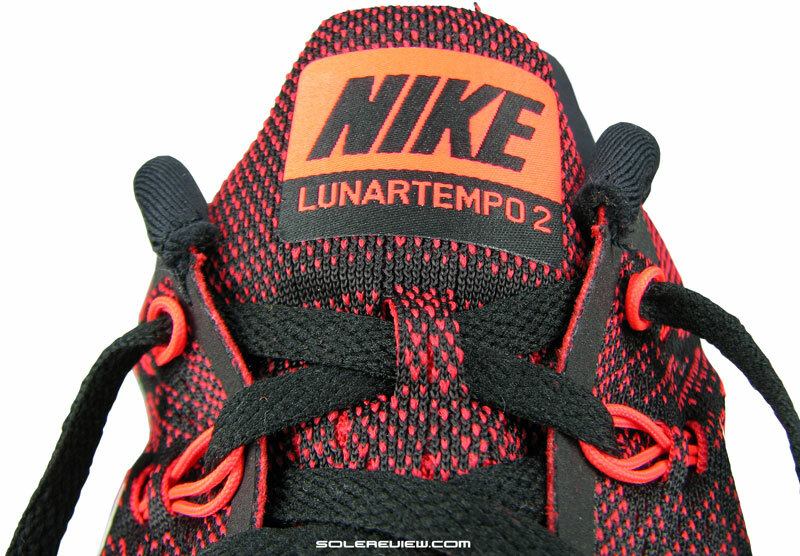 In a nutshell, the new Lunartempo 2 is pretty much what the earlier model was. Near-identical ride quality save the firmer insole, and sleeve equipped upper which fits and feels familiar, but smoother. And oh, the MSRP has dropped by $10, and these days the shoe is going for even less on Nike’s own website. Win win, we say. 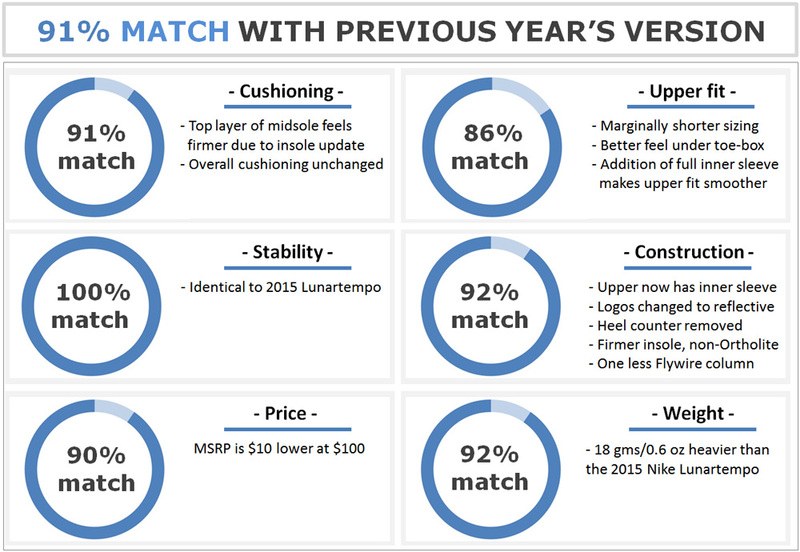 Looking to upgrade your older Nike Lunartempo to the latest version, but not sure how the 2016 model compares? We can help here. The following infographic is a ready-reckoner for what changes you might expect in the new model vs. old. To make this more fun, we’ve put in a system of percentage match, which calculates a weighted average for a set of attributes.